You can either just exist and survive or live life to the fullest, what you choose is up to your willpower and circumstances that you are in. Just existing and surviving on a day to day basis is an easy goal to achieve, all you need to do is make sure that your personal and professional lives are in harmony with each other but, what's the fuss about living life to the fullest? Every now and then you hear someone telling you that you aren't living life to the fullest, you should do this, you should try that, and what not. Some of them even end up presenting a detailed SWOT Analysis of our life and have recommendations for us. The latest in these recommendations is travel, be it a solo trip or a road trip with your gang of close friends. 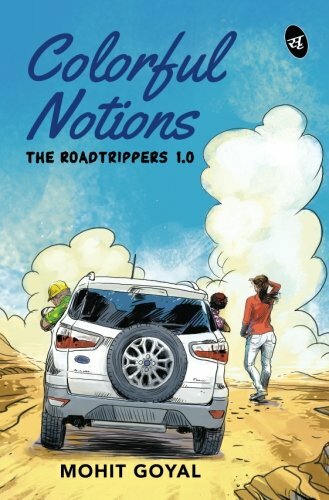 I recently read Colorful Notions: The Roadtrippers 1.0 written by author Mohit Goyal, the book is about three individuals coming together for a road trip throughout the country and explore not only the country but also themselves. The book Colorful Notions: The Roadtrippers 1.0 is about the experience many of us want to seek, but may not due to varied reasons. Colorful Notions: The Roadtrippers 1.0 is about three youngsters in their early twenties, Shashank (Shasha), Abhay (Ab) and Unnati, who manage to convince themselves first and then their guardians to go ahead with their idea of a road trip. Their plan is to travel throughout India across 25 different places, during a period of three-three and a half months, of cultural and historic significance. The planned journey starts from New Delhi and then moves on to other places like Corbett Park, Haridwar, Rishikesh, Manali and Ladakh, Wagah Border and Golden Temple Amritsar, Bhangarh Fort Alwar, Jaipur and Jaiselmer, Mount Abu, Udaipur, Rann of Kutch, Ellora Caves, Goa, Mysore, Kanyakumari, Rameswaram, Hyderabad, Puri, Kolkata, Bodh Gaya, Varanasi, Taj Mahal and conclude at the Jama Masjid in Delhi. The story of Colorful Notions: The Roadtrippers 1.0 is less about these youngsters being carefree or giving up everything just to fulfill their dreams of wandering around the country and is more about the inquisitive and curious nature of human beings. Their ability to tackle adverse situations calmly and come out as a winner, it is about the willpower of going against the odds and creating their own path, it is about the learning experiences and it is about the adventure. The first person narrative of Colorful Notions: The Roadtrippers 1.0 is stunning and is hardly predictable. The description and the minute detailing of the road trip may not take you on a visual treat, but is an experience in itself. The book Colorful Notions: The Roadtrippers 1.0 is full of funny and weird incidences that keep on happening with them like tricky names and the tricky places, highway experiences and the struggles and fear of death. 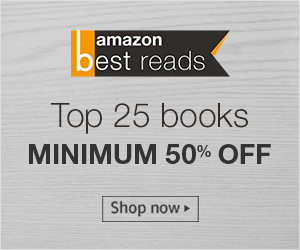 This book may not be your travel guide, but will interest you if you are a traveler. The cover of the book is interesting too, and lives up to the story of the book, the characters are easy to relate and the writing is impressive. I would recommend Colorful Notions: The Roadtrippers 1.0 to anyone interested in reading something different on fiction and travel. I won a review copy from The Tales Pensieve as part of Reviewers Programme. Register on #TTP for lots of #book fun and activities.